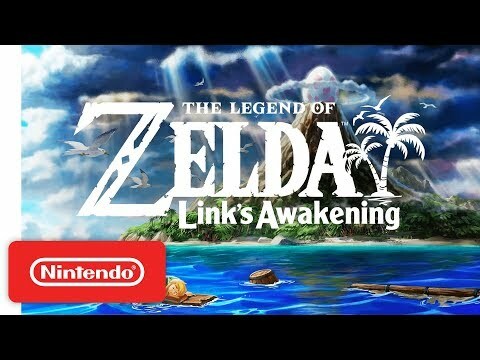 Nintendo has just announced a remake of its 1993 GameBoy classic, The Legend of Zelda: Link’s Awakening. The remake will be available on the Nintendo Switch later this year, but Nintendo didn’t give an exact release date. The game was announced at the tail end of today’s Nintendo Direct presentation which also saw a Super Mario Maker 2 announcement and Dragon Quest XI port for the Nintendo Switch, alongside gameplay for Yoshi’s Crafted World. While the presentation was packed full of small surprises, the remake of Link’s Awakening is by far the most unexpected - despite being critically acclaimed, the game is an oft-forgotten entry in The Legend of Zelda series. That said, we're happy Nintendo's updating it for a new generation. As you might've noticed, the game looks very different from how you might remember it. In fact, while there’s only a few seconds of gameplay footage in the trailer above, it’s apparent that Nintendo is giving the game a massive overhaul in terms of its presentation: To wit, the 8-bit original game now has a vibrant, almost claymation-esque art style. It’s a big change, but a necessary one. The change in art direction follows similar moves Nintendo made with The Legend of Zelda: A Link Between Worlds on Nintendo 3DS, where the old 2D-style graphics were ditched for something more modern. While the difference between the old Link's Awakening and the new one is night and day, here's hoping Nintendo found a way to keep the excellent dungeon design and unique overworld just how we remember it. Want to see more screenshots from the game? We've got 'em right here.